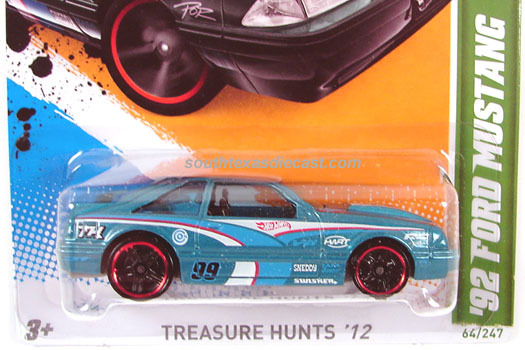 In 1995 Hot Wheels came out with a special line of cars called Treasure Hunts. These cars were limited edition cars that had rubber tires and were hard to find. 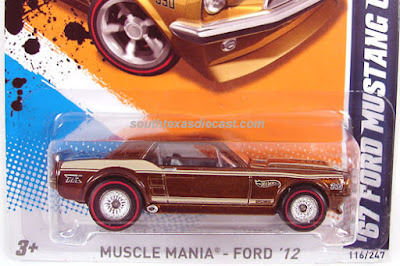 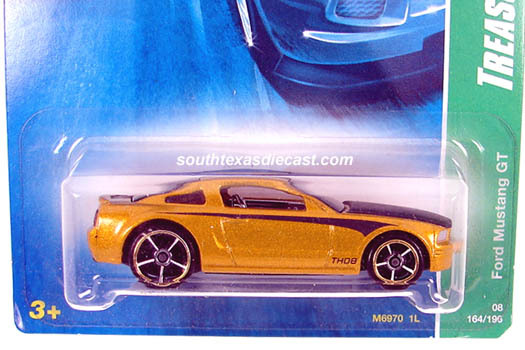 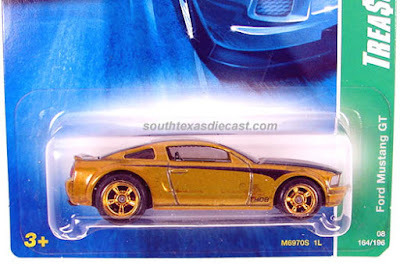 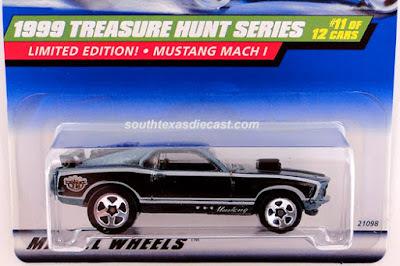 Since then, they have changed up on how they release them but to any collector, a treasure hunt car is a special one. 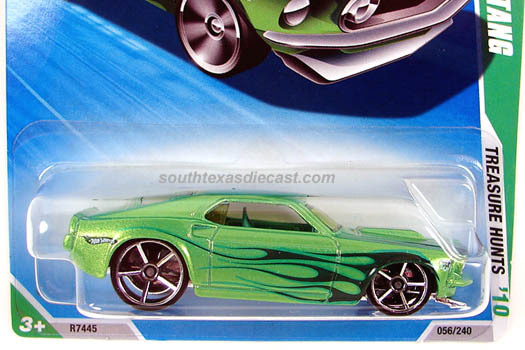 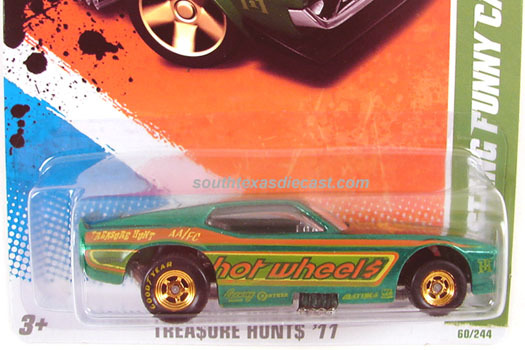 In 2007 Hot Wheels came out with a regular treasure hunt and a $uper treasure hunt. 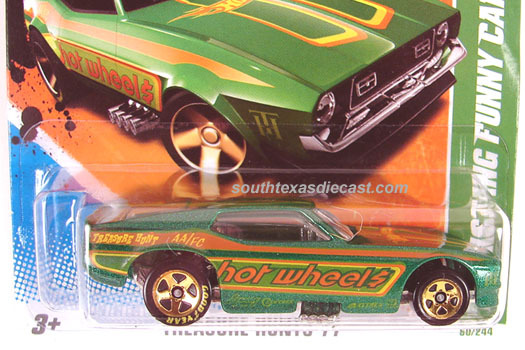 These were put on special card backs that had a green stripe on the right side. The regular treasure hunt had regular wheels, while the $uper treasure hunts retained the rubber tires. This is a list of all the Mustang $uper treasure hunts and Mustang regular hunts. 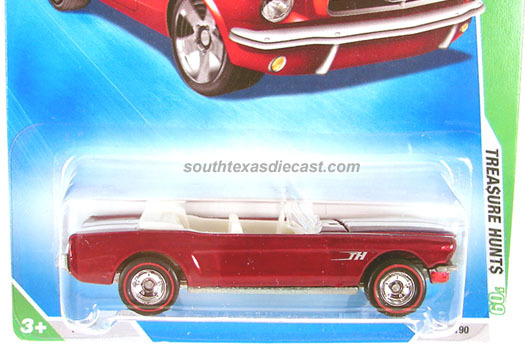 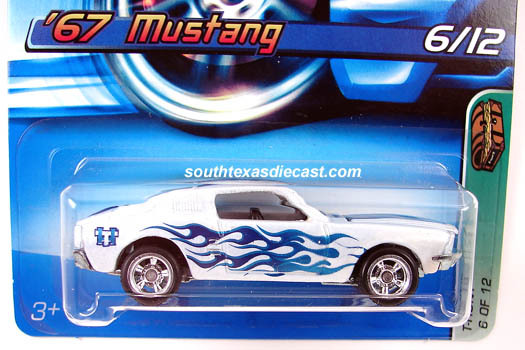 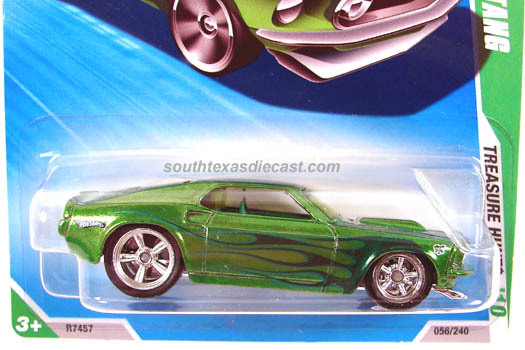 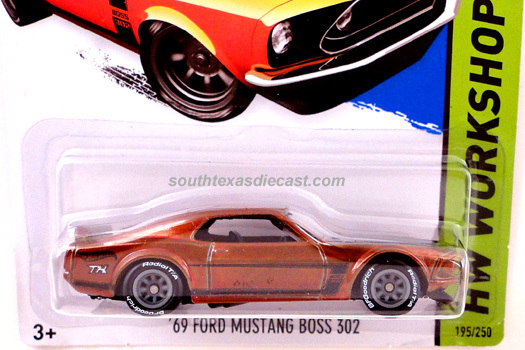 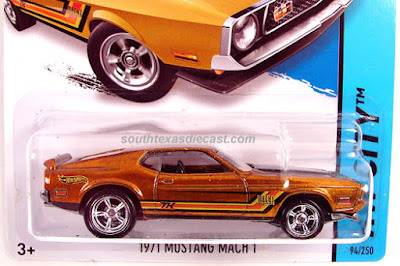 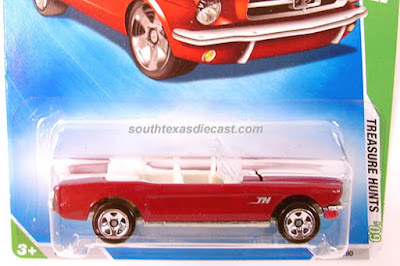 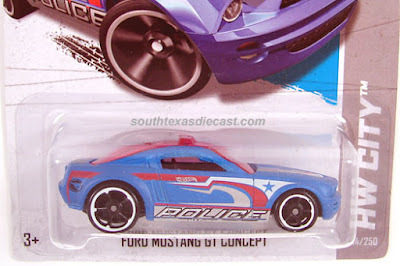 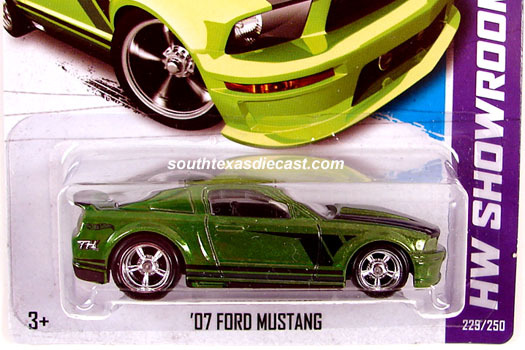 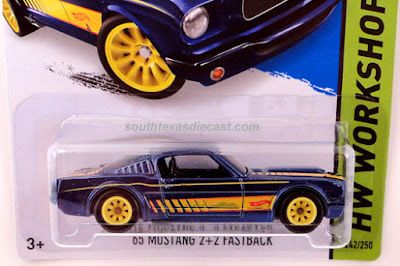 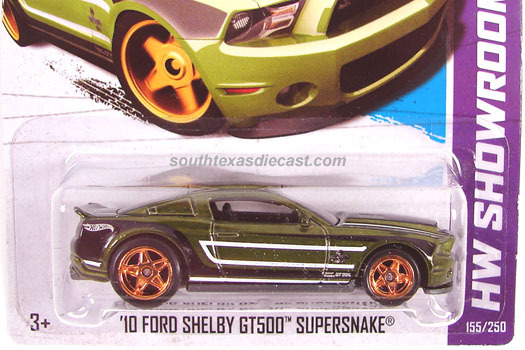 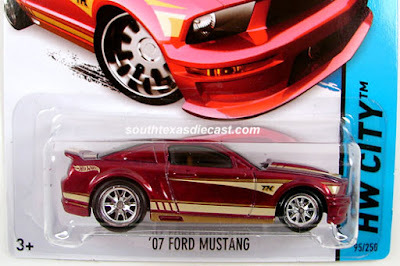 This was the first year they put out a Mustang regular hunt and a $uper hunt. 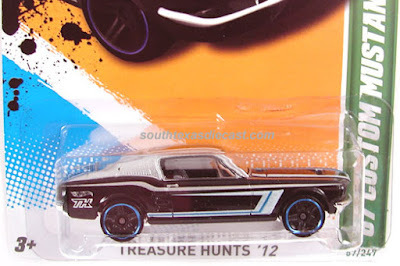 The $uper hunts have rubber tires. This is the first year they made the regular hunts and $uper hunts separate and the $uper hunts were put on an enhanced mainline card. 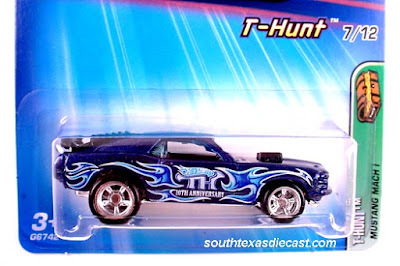 I will be adding new hunts whenever they are released!